One of the most iconic and highly respected growers in the Côte des Blancs, Jacques Diebolt has been making champagne in the village of Cramant since 1959. 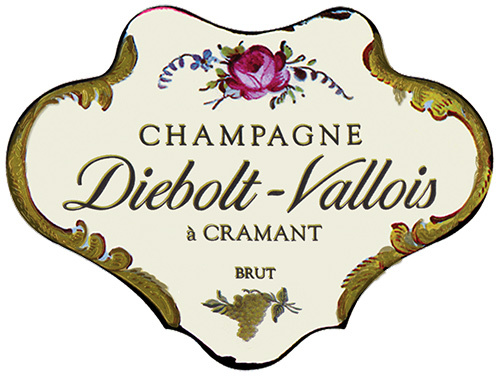 While Diebolt’s grandfather had been making estate-bottled champagne since the beginning of the 20th century, the estate in its present form dates from 1960, when Jacques Diebolt married Nadia Vallois, incorporating a portion of the Vallois family’s holdings into the Diebolt estate. One reason for the extraordinary character and quality of Diebolt’s wines is undoubtedly the magnificent collection of vineyards located in some of the most favored sectors of Cramant, as well as additional holdings in Chouilly, Le Mesnil-sur-Oger, Cuis and Epernay. These vineyards include some parcels planted in the 1950s, which Diebolt uses for his top cuvées. In the cellar, Diebolt gives credit to his maternal grandfather for teaching him how to make wine. Originally from Alsace, M. Crépaux was a former cavalry officer, and “an extremely rigid man,” as Diebolt puts it. Crépaux’s production was small, but according to Diebolt he was a meticulous and exacting winemaker, and much of Diebolt’s work seeks to emulate that standard. Since taking over in 1959, Diebolt has installed some enameled steel and stainless steel tanks, but today he’s working more with old foudres and even old barriques, as his grandfather did. Diebolt is assisted at the estate by his wife and their two children, Arnaud and Isabelle.